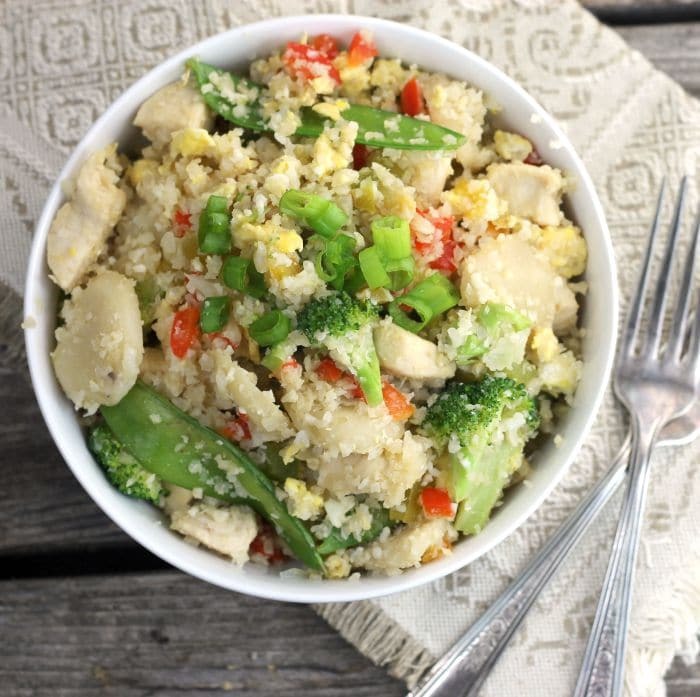 Chicken cauliflower fried rice is made with cauliflower for a healthier choice than white rice that I usually use in my fried rice recipes. 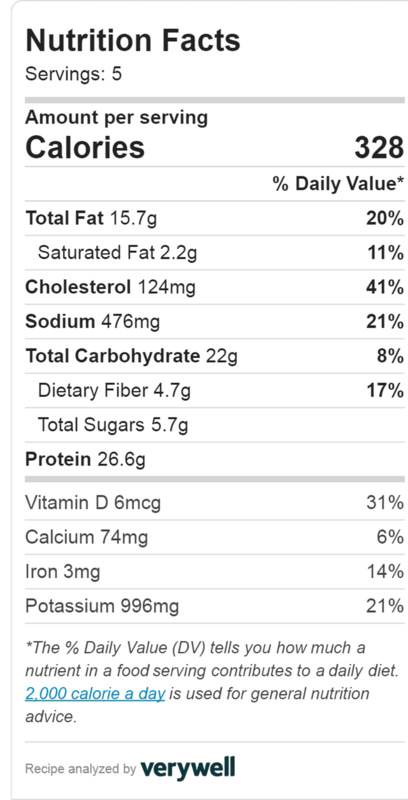 I have to admit that I was really skeptical when I first heard about cauliflower rice. It didn’t seem possible that cauliflower could ever be made into a rice that would taste anything like the real thing. Boy, I have to admit that I was wrong. The very first time I made cauliflower rice, I fell in love with the stuff. I knew that I had to try it in a fried rice recipe and man I have to say if you didn’t know that it was cauliflower you would never suspect that it was not rice. 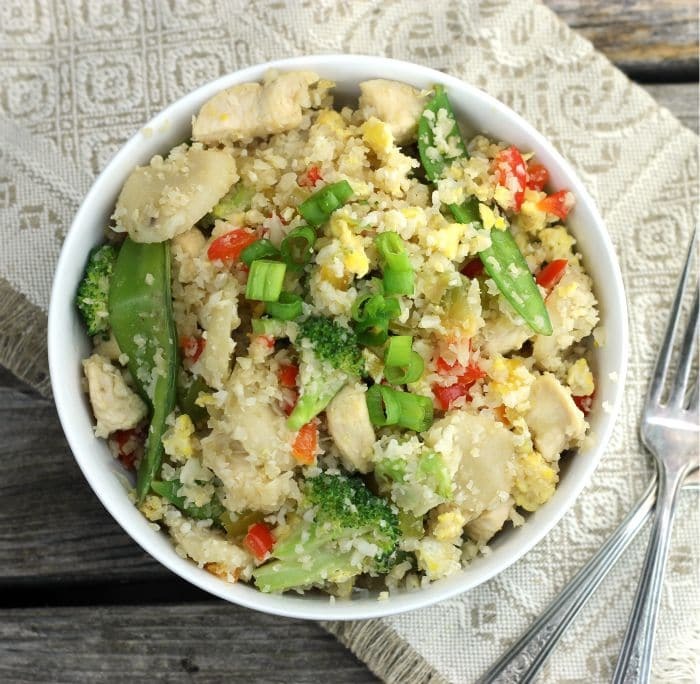 This chicken cauliflower rice is packed full of fresh vegetables and it is so good. We love it at our house and I hope you will love it as much as we do. Making cauliflower rice is actually very simple. I like to use a food processor for processing the cauliflower into the rice. I start by cutting the flowerets off of the head of cauliflower. I don’t like to use too much of the stem when preparing this. Once the flowerets are cut off of the stems, I like to wash and dry the flowerets. Place the cauliflower in the food processor, but don’t overfill. Pulse until the cauliflower is in rice size pieces. Continue this step until the whole head is transformed into rice. When cooking the rice I add a little oil to the skillet and cook until tender, about 5 minutes or so. 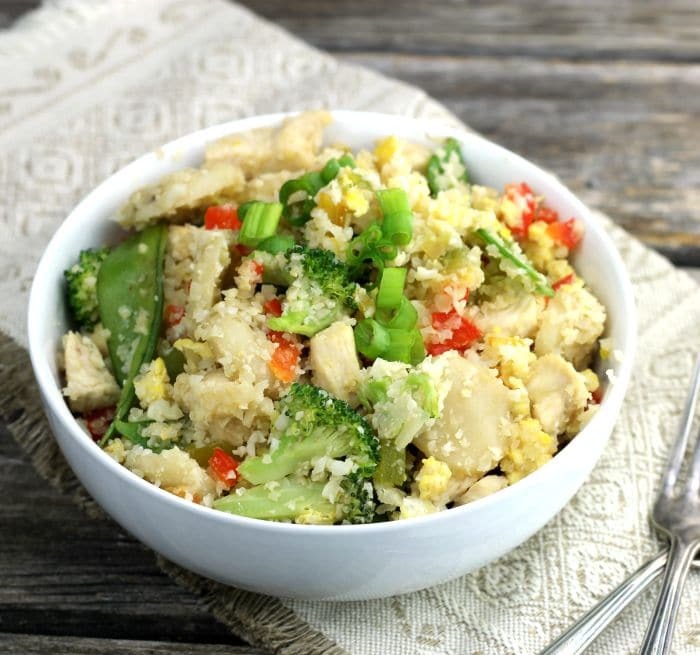 What kind of vegetables can you add to your chicken cauliflower fried rice? 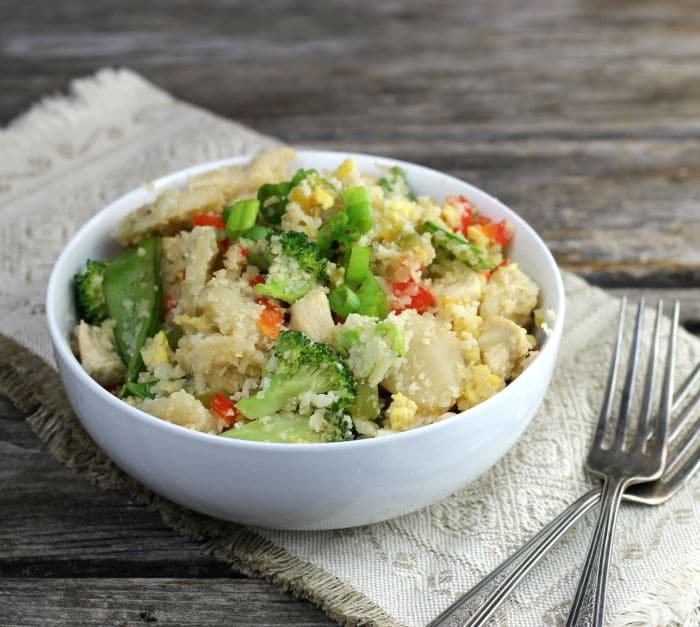 You can add your favorite vegetables that you typically use in regular fried rice. For this recipe, I used green and red pepper, onion, broccoli, snow peas, garlic, and I added water chestnuts for a little crunch. Cut the cauliflower off of the stem. Process the florets in a food processor until you have rice size pieces. Set aside. Heat 2 teaspoons of the olive oil in a large skillet. Add the chicken that has been cut into small pieces. Cook chicken until it lightly browned and no longer pink inside, about 4 to 5 minutes. Remove from the pan. Add another tablespoon of oil if needed. Add the broccoli, peppers, onions, and snow peas. Cook for 4 to 5 minutes until they are being to soften. Add the cauliflower rice to the skillet at this time. Add additional oil at this time if needed. Cook the rice for about 5 minutes or until is getting tender. Stir in the chicken and the water chestnuts. Make a well in the middle of the skillet. Slightly beat the eggs and add them to the well in the skillet. Cook until the eggs are partially cooked and mix into the rice. Add the soy sauce gradually until you have the flavor you like. Season with additional salt if needed. Love food that’s loaded with veggies and healthy lean protein! YUMMY! You know, I’ve yet to make cauliflower rice at home…and I think you’ve finally inspired me to try it out sometime. This recipe sounds so easy and delicious! This is different and it sounds very good. Thanks for the recipe!